Darien native Colin McIntire graduated from Bates College in Lewiston, Me. with a degree in biology. He is a 2012 graduate of St. Luke’s School in New Canaan. Darien natives Barbara Luther and Laura Mcgee are both enrolled for the fall 2016 semester at Eastern Connecticut State University in Willimantic. Luther is majoring in business administration, while Mcgee is studying criminology. Colten Appleby of Darien is a member of the Rensselaer Polytechnic Institute’s cross country team in Troy. N.Y. The industrial and management engineering major has helped the Engineers to a strong start through the first two weeks of the season, including a win at Siena College. RPI, which is coached by John Lynch, is coming off a season in which it had five top three finishes. The Engineers travel to Williams College on Sept. 24 for the Purple Valley Classic. Two Darien High School students participated in the Summer Science Research Program through the University at Albany’s University in the High School Program. Colin Banks and Ari Singer-Freeman had the opportunity to conduct genuine hands-on scientific research in labs or in the field. They performed the research with scientist mentors drawn from a wide array of global professional research institutions. New Canaan Library and Darien Library have joined forces to present “Head to Head,” a unique evening featuring authors Lauren Groff and Robin Black in conversation on a shared stage. Black, who penned the novel novel “Life Drawing,” also reviewed Groff’s bestselling novel “Fates and Furies” for The New York Times Book Review. The authors will speak on writing, reading, and the theme of fated marriage. The event will take place at St. Luke’s School in New Canaan on Sept. 25 at 3 p.m. The event is free and open to the public but registration is required at newcanaanlibrary.org. Copies of Groff’s and Black’s current and previously published books are available for purchase prior to the event at Elm Street Books at 35 Elm St. Books purchased in conjunction with Head to Head will be available to pick up at the event and a book signing with the authors will follow. Please note, no books will be available for purchase on the St. Luke’s premises. Darien Boy Scouts and the Andrew Shaw Memorial Trust invite the community to the Scout Cabin at 140 West Ave. on Sept. 24 from 2 to 5 p.m. Learn about scouting, enjoy a hot dog or s’mores cooked over the campfire, see a model campsite, climb a rope bridge, participate in a STEM (Science, Technology, Engineering and Math) activity, and more. Contact darienscouts@gmail.com with any questions. More than 20 Fairfield County artists will stage an outdoor art show in downtown Darien at the Grove Street Plaza all day on Sept. 24. The Paris-themed event promises artists from Darien, crepes, baguettes, live chamber music, a strolling magician, demonstrations by a chocolatier, and a new youth art annex to the main plaza. Like last year, artists will keep the price on most sale items to less than $500. A portion of the proceeds will benefit the Darien Library art gallery. Now in its second year, the fall outdoor exhibit will give away a free art poster to the first 500 arrivals. The rain date is Oct. 1. There is no admission charge. The Middlesex Genealogical Society and the Darien Library will present a free genealogy program, “Digitizing & Managing Your Treasured Photo Collection,” with Philip Hayes on Oct. 1 at 2 p.m. at the Darien Library, 1331 Post Road. The ninth annual JR Forever Memorial Walk/5K Run is set to take place on Oct. 2 at 2 p.m. The walk and 5K run is in memory of J.R. Schoen who would have would have been a senior at Darien High School this year had it not been for the brain tumor that claimed his life in July 2008. Registration opens at 1:15 p.m. at Pear Tree Point Beach. Registration forms are available at jrschoenmemorial.org/walk and should be returned by Oct. 1. Online registration is available at raceit.com (search by zip code). Registration is $25 per participant or $100 per family. Group discounts are available. Day-of registration is available; however, only the first 250 will receive a commemorative t-shirt. This year, 100 percent of registration fees will be divided to support three causes. First, JR’s Ray of Hope which supports Darien families with school-aged children experiencing serious illness, injury or the loss of a family member. Second, Tisch Brain Tumor Center at Duke Cancer Institute, which is developing promising cancer research to combat the type of brain tumor that Schoen had (pediatric glioblastoma multiforme). Third, the Good Friend Scholarship in memory of Schoen and Jacob Velasco-Navarro will be established. Both Schoen and Velasco-Navarro would have been members of the class of 2017 at Darien High School. The Good Friend Scholarship will be awarded to Darien High School seniors who demonstrate compassion and support of their friends and community, something for which both Schoen and Velasco-Navarro were so well known amongst their friends. Seniors can apply for the scholarship or a peer, teacher, coach, volunteer, or supervisor can recommend the senior for the scholarship. JR Forever Memorial Walk has raised over $140,000 in the past eight years. 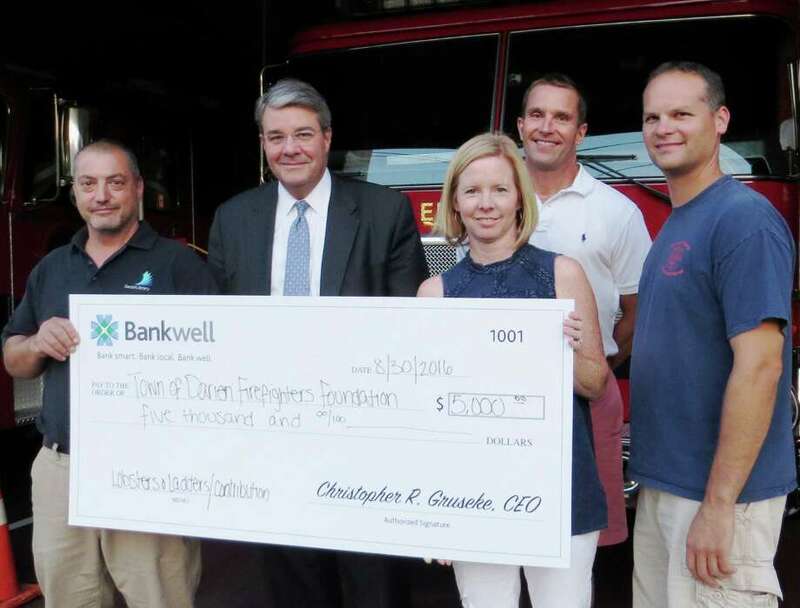 It has supported many Darien organizations, including Post 53, Playground by the Sound, Den for Grieving Kids (part of The Center for Hope), Darien Youth Baseball and Softball, Darien Little League’s Challenger Division, Darien Youth Lacrosse Association, Darien Library, Noroton Heights Fire Department, Obie Harrington Howes Foundation in memory of Shannon Dunleavy, Darien Junior Sailing Team and JR’s Ray of Hope. JR’s Ray of Hope has given over $20,000 to local Darien families over the last six years. The Darien Community Association is located at 274 Middlesex Road in Darien. Substance abuse: Alan Mathis, president and CEO of Liberation Programs, Inc., will be the guest speaker at the Darien Men’s Association. On Sept. 28 at the DCA, he will address issues around substance abuse and access to treatment and the opportunities we currently have to influence policies that affect people living with addiction and their families in our communities. Liberation Programs, Inc. is one of Fairfield County’s leading behavioral health service providers specializing in the treatment of a variety of addictions including opiates, alcohol, stimulants and depressants. This event is $25 per person or $20 for DCA members, and includes a lunch which will be provided by Michael Joseph’s Catering. Prepayment for this event is required by noon on Oct. 3 and can be made online at dariendca.org, or by contacting the DCA at 203-655-9050 ext. 10.